We have to make decisions every day of our lives. Whether it’s a major decision (e.g., moving cities for a job) or seemingly minor (e.g., what time to meet up with someone ), some people are quick to decide while others are left stuck. It's completely normal to feel indecisive, so know that you're not alone. Making decisions can be scary, as you don’t necessarily know what will come of the decision you make. The uncertainty is intimidating, especially when it can affect other people (and not just yourself). 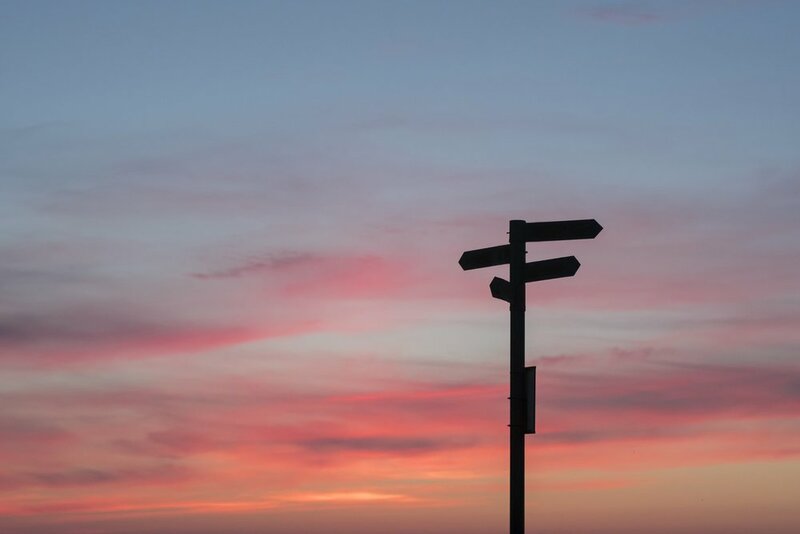 So when you find yourself stuck trying to make a decision – do you go with your gut or do you carefully analyze each option? There’s no right or wrong answer, just as there’s no right or wrong decision. When you make a decision, it’s the best choice for right now. It may not be the best choice forever, but you have to take the right now into consideration. Mindfulness is a powerful tool and one we firmly believe in here at MindWell. When you can be present and aware, you can observe your feelings and thoughts, without becoming too attached to them. It’s almost like looking at things from another perspective – a mindful perspective. Taking a moment to reflect will give you more clarity to make these big life decisions. As you encounter these difficult decisions, here’s 8 things to keep in mind. Accept that this isn’t easy. Decision making is different for everyone. Some people are super decisive and never look back. If that isn’t you, don’t think that it has to be. Those that tend to overanalyze may have a harder time making big life decisions. And that’s okay. When you can accept that making decisions is hard, you won’t waste your time beating yourself up over it. So instead of wishing this process was easier, embrace your feelings (no matter how difficult they are) and accept that this isn’t easy. The first step to becoming more mindful is to slow down. Even if you’re not making a decision, in order to be present it is helpful to take some time to yourself. During this time you can reflect on your goals and priorities. While doing so, take note of your strengths, interests, and values. What is important to you short-term and long-term? This will help you make a more mindful decision. Know there are many paths. Like we mentioned, there’s not a right or wrong decision. There are just many paths. Sometimes there are many good paths to take and they all seem equally as beneficial. What then? In this case, go with your gut and stick with it. Try to ensure that it is really your “gut” and not solely fear driving the decision. Often times we find ourselves stuck during this phase of decision making. Even with several great options, we still have doubts about the path we did not take. Don’t let those doubts consume you. You made the best decision for right now so stick to it. You’d be surprised how much a few deep breaths can change everything. When you find your heart racing or palms sweating due to an important decision coming up, pause and breathe. Sometimes the “scarier” decision might be the best one. Moving to a new city where you don’t know anyone for a job promotion is a great example. This could be a good move for your career but is also very intimidating. Do you stay in your comfort zone and pass up this opportunity or take the risk and further your career? Although the brave choice can be overwhelming, it can lead to positive change and a better outcome long-term. If you do become overwhelmed, mindfully take some deep breaths…because that fear could turn into excitement. Being true to yourself is always important. You don’t want to compromise your priorities and values when making any decisions in life. If one decision might go against your nature, then be sure to strongly consider the options that are aligned with what’s true to you. If you know someone else who has had to make a big life decision as of late (which is probably most people you know!) ask them about how they went about their decision-making process. It’s easy to get in your own head about these things. So learning about someone else’s story can help you see things you may not have noticed before. It’s helpful to see things from other’s perspectives and this is a great opportunity to do so. The path of least resistance is often a great option. It’s in our nature to be skeptical of something scary and new, but you also never know until you try. For example, a blind date. It’s an easy situation to write off but one that could pay off in the long-run. You never know until you try and sometimes just saying “yes” is exactly what you need in that moment. If nothing else, it can be good practice in bravery and facing fears. Making the decision was hard. But moving forward after said decision and not dwelling on it can be even harder. Reiterating the fact that there’s no wrong decision, don’t waste your energy having regrets. Be proud of yourself for making that decision. Even if the results end up being less than ideal, you gain valuable lessons that can lead to something bigger than this one decision. When you trust both your brain’s mindfulness and your gut feelings, you will make the decision that’s right for you. Decisions are hard but they shouldn’t consume you. If you find yourself getting wrapped up in decision-making, consider seeking professional help. Schedule an appointment with one of our therapists today.